Looking for iPad Mini cases? You’ve come to the right place. The range of iPad Mini cases that are available now on the market is simply huge. So we thought our readers could benefit from a short guide to choosing one that best fits their style. Seeing that the Apple iPad is such a wonderfully versatile device, people are naturally using them in many different ways. And each one implies a different level of wear-and-tear. Someone who likes to write music on his/her iPad probably won’t need a waterproof, sand-proof, and drop-proof device. Likewise, someone who generally uses his/her iPad in live concerts may want something more resilient. And if you buy an iPad Mini for your kids, then you should look for iPad Mini cases with a lot of protection. These types of iPad Mini cases, such as the basic Apple Smart Case, the Everything Case 2, or the iLuv Folio case, are best at offering basic protection for your iPad mini. At the same time, these covers look plain and don’t are clearly not too much in terms of design. The basic iPad mini cases normally feature foldable cover which an also act as a stand, and that’s about it. Some who would like extra protection may also add a SwitchEasy CoverBuddy. This iPad Mini shell fits perfectly with iPad Mini cases, such as the Apple Smart Case, while keeping the style of the iPad pretty much intact. Advantages of Basic iPad Mini Cases: simple design, usually features a stand. Disadvantages of Basic iPad Mini Cases: medium protection, limited features. It would be best if we called these cases “armors” because that’s basically what they are. These heavy duty covers shield your iPad Mini from just about any threat between a simple 2-meter drop and your dog’s teeth. From the bundle of iPad Mini 2 cases, we’re calling out the Trident Aegis, the Gumdrop Hideaway, the Xtrememac Tuffwrap, and the lovable Speck iGuy. These cases are all perfect for that extra security that will allow you to stay calm at work while your kid’s home playing on your iPad. The Speck iGuy can also make a good companion for your little one as your iPad will suddenly look alive in this case. Advantages of Resilient iPad Mini Cases: extreme protection, good for kids. Disadvantages of Resilient iPad Mini Cases: very bulky, expensive. Once in a while, someone will ask you to spontaneously write an essay about feudalism in France, so it’s best to be prepared by having an iPad mini keyboard case. There are a lot of options for those of you looking for a keyboard companion for your iPad Mini. We’re going to give a shout out to the Logitech Ultrathin Keyboard Folio, the Zagg Rugged Book Case, and the BrydgeMini Keyboard. These QWERTY keyboards come perfectly designed so that you can curl in a corner in your favorite coffee shop and write the next New York Times Bestseller. The best thing about these cases is that they’re also exceptionally good at protecting your iPad from damage. 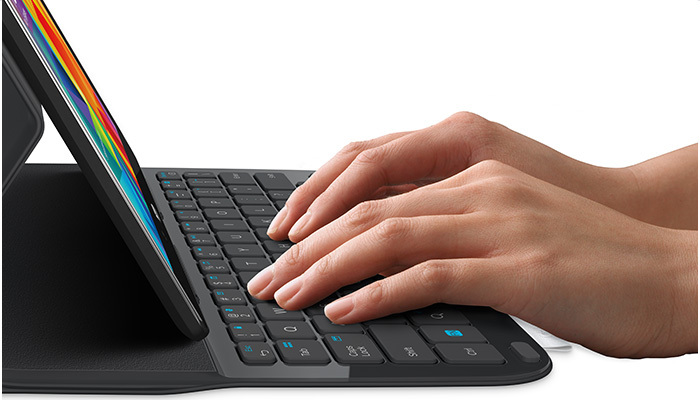 Advantages of iPad Mini Keyboard Cases: portable keyboard, good level or protection. Disadvantages of iPad Mini Keyboard Cases: expensive, can be bulky. Now that we’ve gotten to our last category of iPad Mini Cases, it’s time to talk about those that not only offer protection but also leave everyone around you awed. iPad Mini covers such as the Mujjo iPad Mini sleeve, the Kinomad Mini Leather Organizer, or the Grovemade Walnut Case are perfect for going to sophisticated parties with your iPad mini at the ready. Another interesting addition is the BookBook Hardback leather case, which makes your tablet look like the coolest vintage hardcover book ever. While most of these cases lack in practicality, that’s not necessarily what potential buyers would aim for. So if you decide on buying something like the BookBook, your iPad will be taking up a lot of space without offering much in the way of protection. But I guess that in the end, everything depends on how you, the user, will be using your iPad. If you feel particularly confident, you can even go without any case at all. Advantages of Stylish iPad Mini Cases: sturdy, beautiful. Disadvantages of Stylish iPad Mini Cases: bulky, expensive.